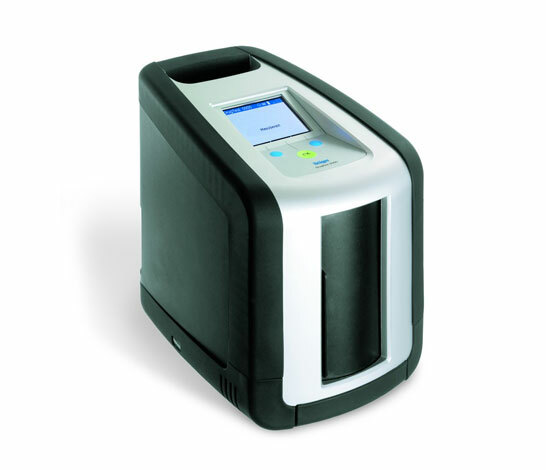 Oral fluid (or saliva) collection is rapid, non-invasive, and simple. Oral fluid contains the active/impairing drug which likely represents recent drug use. We are the first state to offer a comprehensive Oral Fluid Drug Testing program at the State Crime Laboratory level. It is two-fold: screening at the roadside and evidentiary confirmation testing at ADFS. First, we have validated and approved (3) “roadside” oral fluid drug screening devices that law enforcement can use during a DUI stop or crash to identify drug use. They screen for marijuana, cocaine, methamphetamine, amphetamine, opioids, and benzodiazepines. The devices are analogous to PBTs for alcohol and should be used to establish probable cause. They display “positive” or “negative” and should be administered after standardized field sobriety tests to confirm suspicion of drug use. This information can also be used to assist with obtaining a search warrant to collect a confirmation specimen such as blood (or oral fluid). Secondly, we now offer oral fluid drug evidentiary confirmation testing at ADFS. After an arrest, an evidentiary confirmation oral fluid specimen should be collected in an appropriate collection device/tube provided by ADFS. The Toxicology Section will test the oral fluid sample and issue a report of our findings. We test for over 20 drugs of abuse and therapeutic drugs commonly found in driving cases. Preferably, officers will collect both blood and oral fluid since together they paint a more detailed picture of recent drug use and the cause of impairment. The first oral fluid case was submitted to the laboratory in August 2018. 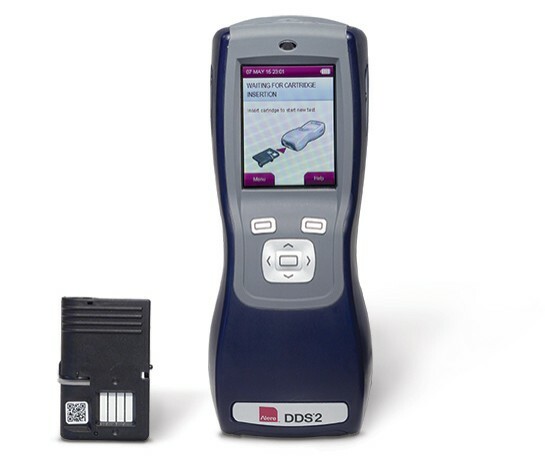 The following devices are approved by the Alabama Department of Forensic Sciences for field sobriety drug screening. 1. Check expiration date on Quantisal packaging and ensure donor has refrained from consumption of food or beverage for 10 minutes prior to specimen collection. 2. Instruct donor to peel open package and remove collector. Have donor move tongue side to side to accumulate saliva in his/her mouth before starting to speed up the collection. Keep the tip of the device pointed down. 3. Instruct donor to position collector under tongue and close mouth. Keep head down to allow gravity to help with saliva collection. Important - ensure donor does not chew on pad, talk or remove collector from mouth until indicator turns blue, or until 10 minutes has elapsed. 4. Instruct donor to hold transport tube in an upright position and uncap by pushing up with thumb(s). Do not stand tube on table. Do not spill or empty liquid from tube. 5. Instruct donor to insert collector into the uncapped transport tube and replace the cap. 6. Snap cap firmly for transport. Place center of specimen seal on top of tube and press down both sides. Complete paperwork and send sample to laboratory for testing. This video will demonstrate how to properly collect a sample. 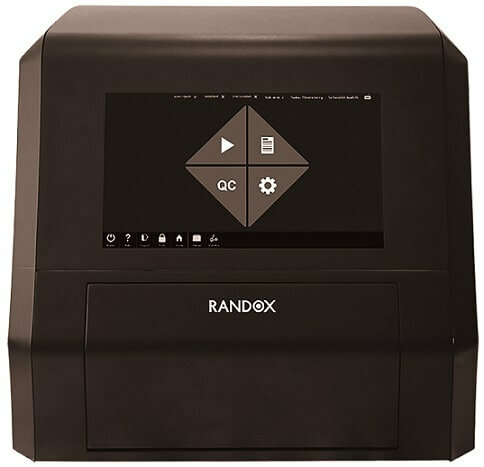 **IMPORTANT: Read Section 370-1-1-.06 Field Sobriety Drug Screening Devices for details on approved training, operation of devices, quality control tests and maintenance, and training/maintenance record requirements. **Note: It is the responsibility of each law enforcement agency to maintain permanent records documenting the training of each officer in the use of approved field sobriety screening devices and the annual maintenance results on each device in use by the law enforcement agency.